In today’s episode we take a deeper look at what’s behind the hype over autonomous vehicles, and talk to two experts in the field, Alberto Broggi, leader of the Vislab Intercontinental Vehicle Challenge, and Raul Rojas, leader of the Made in Germany autonomous vehicle project. 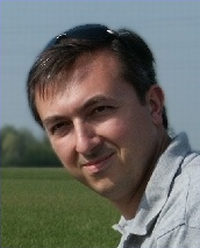 Alberto Broggi is the Director of the Artificial Vision and Intelligent Systems Lab at the University of Parma.His main milestones are the ARGO Project (a 2000+ km test done on Italian highways back in 1998 in which the ARGO vehicle drove itself autonomously) and the setup of the Terramax vehicle who reached the finish line of the DARPA Grand Challenge 2005. The Vislab Intercontinental Vehicle Challenge was accomplished when the vehicle expedition recently reached Shanghai on October 28th after crossing two continents in a journey more than 3 months long. 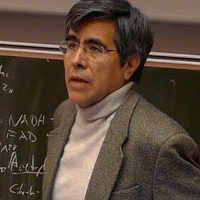 Raúl Rojas is a professor of Computer Science and Mathematics at the Free University of Berlin and a renowned specialist in artificial neural networks.The FU-Fighters, football-playing robots he helped build, were world champions in 2004 and 2005. He formerly lead an autonomous car project called Spirit of Berlin and is now leading the development of the Made in Germany car, a spin-off project of the AutoNOMOS Project. Although most of his current research and teaching revolves around artificial intelligence and its applications, he holds academic degrees in mathematics and economics. For more information on this week’s news, including pictures and videos of the two new robotic grippers, have a look at the Robots Forum.